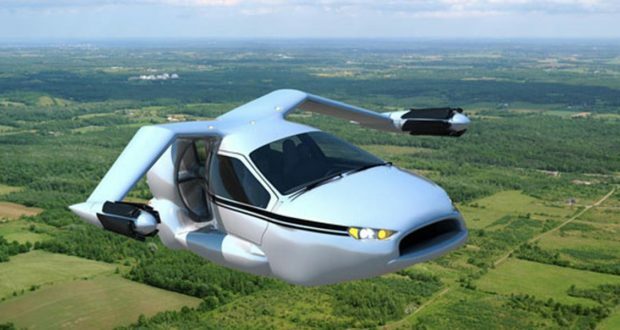 In 1940, Henry Ford said: “Mark my words, a combination aeroplane and motor car is coming.” The first time in film I believe I saw flying cars was in the Tom Cruise thriller, “Minority Report.” The way that traffic moved in layers above the ground at break-neck speeds was inconceivable. That was in 2002 depicting life in the middle of the twenty-first century. The minds of the sci-fi world are meeting reality perhaps sooner than they expected. I’m still trying to get a handle on self-driving cars, as we may quickly leapfrog that innovation into individual flying capability. So how could this affect the economy you ask. Well, you might remember game changers like the car, the personal computer and the mobile phone, all of which transformed society, technology and ultimately the economy. One might look to those whose minds are already set on space to be the innovators of this revolution. The likes of Gates, Musk and Bezos all have a keen interest in the final frontier. Bezos has said as much himself, noting that the next wave of innovators will make Amazon look like a small-cap company. As with the aforementioned inventions, early adoption of such a vehicle will be dictated by price. Prohibitive pricing will ensure only the upper percentile, and those who can afford a pilot license, will invest. The economic consequences could be staggering if you extrapolate from the statistics of the automobile. There are roughly 1 billion cars in the world from a standing start when mass production made the car widely available in 1908. That is approximately a car for every seven people in the world, including some of the most remote places on earth. The cost of technology will go down post product launch, as entrepreneurs will drive competition to all facets of production. This, of course, is premised on the assumption that America will not have folded to the communist left, else instead of our skyways looking like the Jetsons, we will more resemble the current streets of Havana. Between technical dilemmas, laws and regulations, it is still uncertain when this idea will fly. Uber is already negotiating the technology and safety infrastructure in its research into Elevate, a fleet of electric, autonomous, VTOL aerial taxis, which are planned to launch by 2020 in Dubai, and other cities thereafter. It envisages “vertiports” in city centers controlled by an enhanced air-traffic control. Elevate is already in a passenger drone arms race with Larry Page’s Kitty Hawk aerial taxi, China’s Ehang, E-Volo’s Volocopter and Airbus’s Vahana. When Obama conjectured that there would be zero automobile fatalities by the year 2030, I wasn’t sure what he was referring too. How could this be? Many already knew of the soon-to-be autonomous driving world and perhaps car-flight as well. That would be truly amazing. However, it is just as unfathomable to understand how car-flight cannot come without inherent dangers and fatalities. In regard to the economics, everyone will want one of these new-fangled flying cars, just as they did the Model T, the PC, and the smartphone. By 2119 it is anyone’s guess what the world will look like.